On July 6th 2017, at the 38th Heads of Government Meeting, Mike Bloomberg announced that Bloomberg Philanthropies will be investing in obesity prevention in the Caribbean. Drawing on global success in tobacco control and recent emerging successes in obesity prevention, Bloomberg Philanthropies will work with regional and national partners to expand their obesity prevention programme into Barbados and Jamaica. 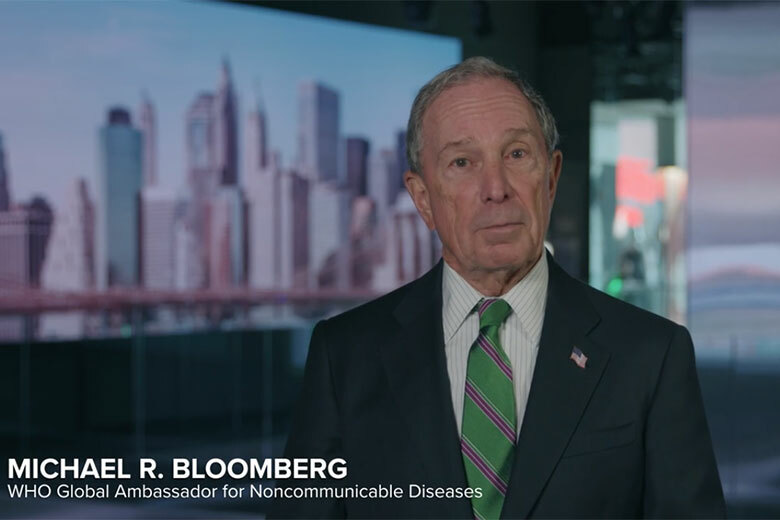 Through the Obesity Prevention Program, Bloomberg Philanthropies has committed over $130 million to support public health policies aimed at reducing obesity in Mexico, the Caribbean (Jamaica & Barbados), Colombia, Brazil, South Africa, and the United States. Over two billion people – approximately 30% of the world’s population – are overweight or obese. In 2015, 4 million deaths resulted from being overweight or obese, which places individuals at a greater risk for cardiovascular disease, diabetes, and certain cancers. Today, more people die from overnutrition than from undernutrition. Obesity is no longer a problem exclusive to high-income countries – over 60% of all obese individuals live in low- and middle-income countries. Unless obesity is urgently addressed, it will increase premature mortality and undermine economic development. The good news is that the problem is preventable. We are supporting the enactment and evaluation of policy efforts that aim to reduce and prevent obesity in cities and countries around the world. Given the unacceptably high rates of childhood overweight and obesity in the region, the HCC welcomes this new initiative and which aligns with one of the key asks contained in HCC’s recent Open Letter to Heads at the 38th Meeting. HCC will shortly be launching a Civil Society Action Plan for Childhood Obesity Prevention.